Silver pendants with the famous moldavites from Besednice, called hedgehogs. June 10, 2018 in Jewelry. Gallery of small moldavites from deposit Besednice – called hedgehogs. January 16, 2018 in According to locality. Moldavites from Besednice (called Hedgehogs) are usually midle size moldavites. Weight of this moldavite is over 100ct. February 12, 2017 in According to locality. What lies beneath this designation – hedgehog? Why are these moldavites most beautiful? February 7, 2017 in Theory. 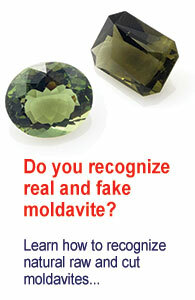 Look closely at beatiful moldavite from deposit Besednice. June 25, 2015 in According to locality. Around village Besednice there are a few locations with moldavites. Czech name of the best known deposit is Ježkovna. December 14, 2014 in According to locality.